I'm not going to lie. This was a last minute picture. But it is something I did today, amongst the other ridiculous amount of things I did. 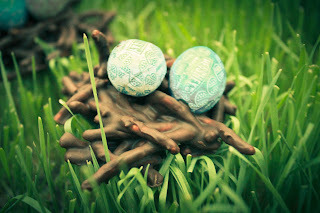 I might add that they are very delicious...just in time for Easter =D Now it's time to start packin' up for vacation tomorrow! Woo hoo!